Sgt. 1st Class Obediah J. Kolath died Aug. 28, 2005, from wounds received during combat operations on Aug. 25, 2005, in Iraq against known enemies of the United States of America. He was born Dec. 1, 1972, in Jefferson City, Mo., and graduated from Skyline High School in Urban, Mo. in 1991. He entered the U.S. Army March 10, 1992, as a fire support specialist. After completion of initial entry training, he was assigned to the 2nd Battalion, 29th Field Artillery Regiment in Germany. Since that time, Kolath served with the 4th Battalion, 41st Field Artillery Regiment; 2nd Battalion, 1st Special Forces Group (Airborne), and 1st Battalion, 1st Special Forces Group (Airborne). His last assignment was as a team member assigned to the U.S. Army Special Operations Command, Fort Bragg, N.C.
Kolath completed several military courses to include the Basic Airborne Course, the Special Operations Communication Course, the Static Line Jumpmaster Course, the Ranger Course, the Advanced Noncommissioned Officer Course, the Special Forces Advanced Target Recognition Course, and the Department of Defense High Risk Survival School. His awards and decorations include the Meritorious Service Medal, the Army Commendation Medal (2), the Army Achievement Medal (5), the Army Good Conduct Medal (4), the National Defense Service Medal with bronze service star, the Armed Forces Expeditionary Medal, the Global War on Terrorism Expeditionary Medal, the Global War On Terrorism Service Medal, the Meritorious Unit Commendation, the NCO Professional Development Ribbon with numeral three, the Army Service Ribbon, the Overseas Service Ribbon (2), the NATO ribbon, the Parachutist Badge, the Ranger Tab and the Special Forces Tab. 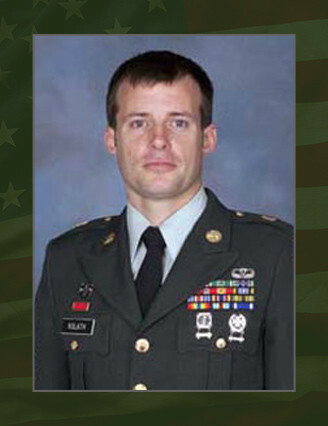 He was posthumously awarded the Bronze Star for valor, the Purple Heart, the Defense Meritorious Service Medal and the Combat Infantryman Badge. He is survived by his children, Vivian Schondelmeyer, Autumn and Mariah Kolath, and mother, Mary Kolath.